The World Health Organization (WHO) is urging the universal use of “smart syringes” for any and all applications that require an injection. The reuse of needles is a big reason for the spread of communicable diseases worldwide. “Smart syringes” wouldn’t solve that problem. There are several different types of smart syringes. 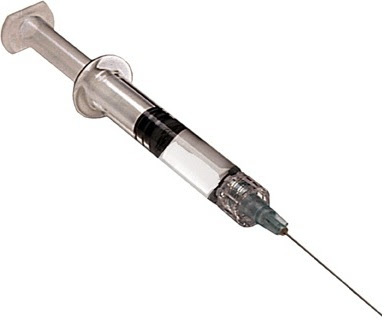 In most cases the needle breaks if the users tries to retract the syringe plunger rendering the needle useless. Other models have a clip that falls in place preventing the plunger from being pulled back once an injection has been administered. Additionally, there are now syringes where a cap or sheath slides over the needle once it has been used in order to protect health workers and clean-up crews from getting accidentally infected by needle pricks. The challenge, of course, is going to be the cost. Smart syringes cost about twice as much as regular syringes. This entry was posted in General and tagged Smart, Syringes, WHO, World Health Organization. Bookmark the permalink.